Looking to learn iOS app development? Here is our pick of 10 online resources for learning iOS programming, whether you are completely new to iOS app development or know the basics, these online resources will provide a strong foundation to help you learn the ropes of app development. 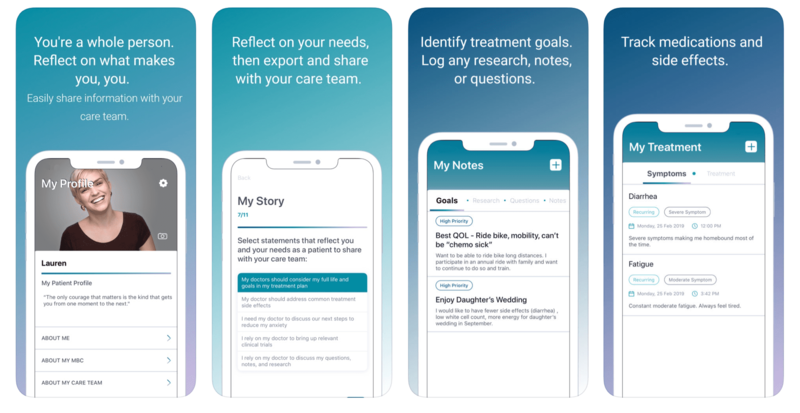 This is Apple’s official introduction module to iOS app development. It is a simple step-by-step guide to everything you need to know about developing your own app. The guide is more of an overview than an in-depth tutorial, but it does cover everything you need to know and provides information and links for further information. 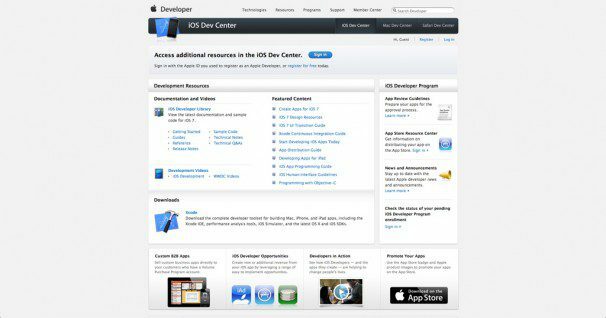 The official iOS Dev Center contains all the information you need regarding app development. There is information on everything from app design, user experience and information on frameworks. You’ll need to be a paid member of Apple’s Developer Program in order to access this resource. Edumobile is a blog devoted to tutorials and guides on mobile technology. They also offer complete software development learning programs which you can purchase if you are interested in a packaged program that teaches you everything. 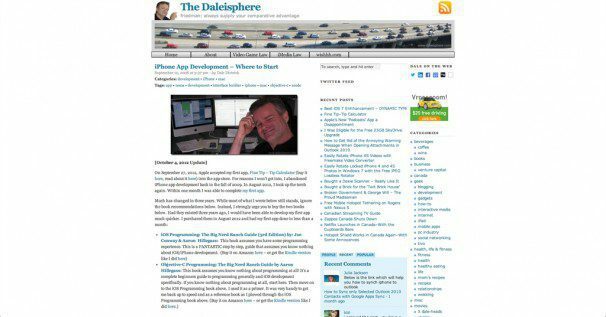 More of a forum than anything else, the iPhoneDevSDK is a great place to ask questions and read what others have to say. The main focus of the the forum is iOS app development and marketing, so if you need any help on any of these topics, don’t be afraid to ask. 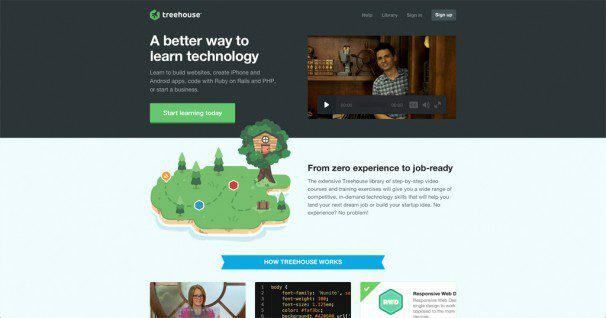 Treehouse offers great educational courses that take you from a complete beginner to a proficient programmer. For a monthly subscription you have complete access to all their courses which includes a course on iOS app development. 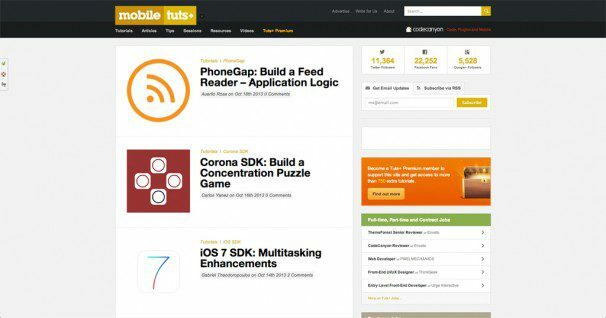 Mobile Tuts+ is part of the Envato network which is known as a great development and design resource. 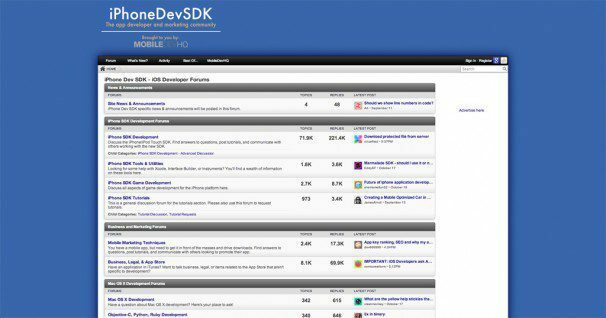 You’ll find articles and resources for all kinds of mobile technology and some specific for iOS app development. 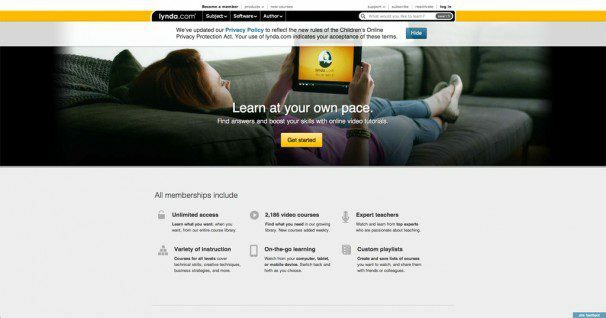 Lynda.com is one of the most popular and comprehensive online resources for learning. Lynda.com offers many courses and modules on iOS app development including iOS development and publishing your app. They pride themselves on providing high quality easy-to-learn video courses that are well worth the price. If there is something you want to learn regarding design/development, there will most likely be a Lynda.com course for it. Ray Wenderlich is our favorite iOS online resource. 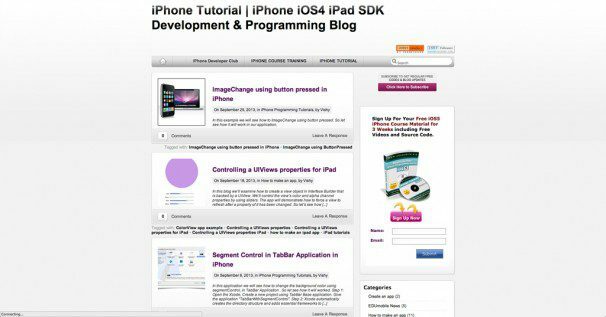 It’s a blog that aims to provide high quality programming tutorials for iOS developers and gamers. In addition to the free tutorials that Ray posts, they offer comprehensive tutorials that cover all aspects of iOS app design and development. They have written a great blog post which provides an amazing list of tutorials and resources for iOS app development. The best thing about the blog is the chance to vote on the next tutorial they will write, allowing you to learn more on a certain topic/technique. This is an incredible post is taken from The Daleisphere, a blog run by Dale Dietrich. He is the publisher of the Fine Tip – Tip Calculator app on the iTunes Store. Learn from someone who not only has theoretical but also practical knowledge of the iOS app development process. 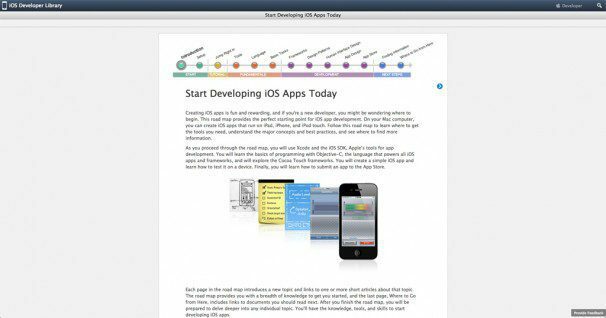 Tutorialspoint has a great course on iOS app development. The course takes you from the very beginning and provides real coding examples which you can use to construct your own app. A great resource and guide for those that are new to application development. Developing your own app can be extremely rewarding, especially if you are able to have it published on the iTunes Store. It is never too late to learn, even if you are a complete beginner to iOS programming.